Streamlining, automating, integrating and optimizing top the list of priorities for Pittsburgh-based JazzHR, whose business tripled in one year from 2016 to 2017, poising the ATS and recruiting specialist for further growth. Compliance includes Web Content Accessibility and AA guidelines, with applicable Section 508 V2 and Web Content Accessibility Guidelines 2.0 A.
Businessolver's Assistant Vice President of Applied Data Science Sony SungChu will be showcasing the benefits administration company's new technologies for employee benefits at the upcoming Human Resource Executive Health & Benefits Leadership Conference. Businessolver remains ahead of the game in development of empathetic A.I. When it comes to recent technological advances, few are as relevant as Artificial Intelligence. As many tasks move toward data and tech, A.I. stands to be incredibly helpful -- and necessary -- for modern businesses wishing to thrive. 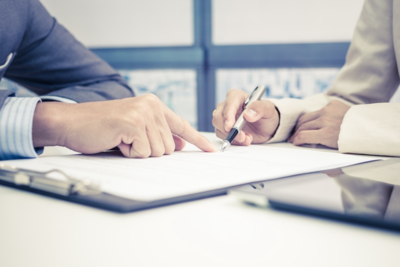 ADP has joined forces with ZipRecruiter to help build the company's suite of HR technology formulas designed for small businesses. Learn how to drive product innovation, hear first-hand stories about experiences with benefits technology, and exchange ideas in an informal network setting as benefits technology company Businessolver hosts its Horizon Dallas event. 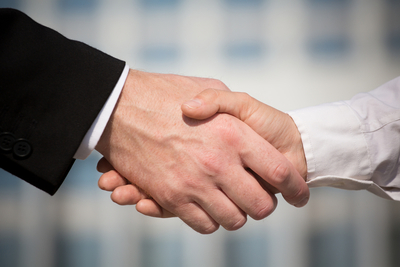 Employee benefits and payroll services company BenefitMall has added payroll quotes to its Client Ready Quote System. Striving to “move the needle,” Chicago’s pre-eminent children’s hospital recently joined forces with an innovative community consortium aimed at improving health and longevity for underserved neighborhoods. Lose the jargon, streamline questions and create opportunities for optimal vendor partnerships by participating in Businessolver's free, hour-long webinar slated for mid-day Tuesday, March 20. Making that quantum leap from paper to virtual enrollment takes finesse and experience; so West Des Moines’ Businessolver stood at the ready to facilitate the move for an educational benefits co-op serving thousands of individuals. Discovery, dialog and discourse comprise the three top reasons to join Businessolver for its Horizon Houston 2018 event, coming up from 1:30-6 p.m. on March 27 at The Tasting Room Uptown in Houston. The PERKS convention offers HR experts and others a chance to take a look at some of what's successful in crafting today’s workforce and brainstorm about ways to advance employee experiences in the years ahead. As one of the biggest economies and most populous states, it’s a leader in many things – and an outlier in the HR industry as well. Preparing to present a wealth of governance and leadership guidance, the Association of Governmental Risk Pools (AGRIP) will sponsor its annual conference at the Hilton San Diego Bayfront hotel from March 4-7. Talent management services company BirdDogHR grew its revenue by 30 percent and secured 233 new customers in fiscal year 2017. Companies can maximize their efficiency in managing the “people end” of health care with a new set of tools called Infor CloudSuite HCM Analytics. Businessolver is slated to present “Horizon Charlotte 2018” from 1:30 – 6 p.m. on March 1 at The Palm Restaurant in Charlotte, North Carolina: offering seminars, networking opportunities, product updates and more for savvy area entrepreneurs. With Pepper Construction Partners projects proliferating in Chicagoland, West Des Moines’ Businessolver recently buckled down to help the business boom by upgrading its management platforms to a paperless system for onboarding, enrollment and more. 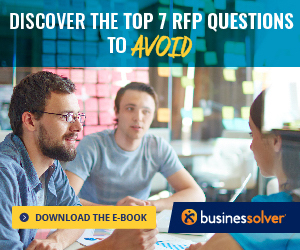 When it comes to the art of writing a request for proposal (RFP), Businessolver has whipped up a plan to make it easy, recently publishing a white paper as a guide for crafting an RFP to select benefits administration vendors. Producers of two of the largest human resource conferences and exhibitions, the HR Technology Conference & Exposition and Europe's Zukunft Personal, have joined to form the HR Global Alliance, which will serve as a support network of global exhibitors helping to expand market reach.